Before receiving this book, I’d never heard of this author, so I was unsure when I first started reading it. Going into a book blind always makes me wonder will it be a book I love or hate. 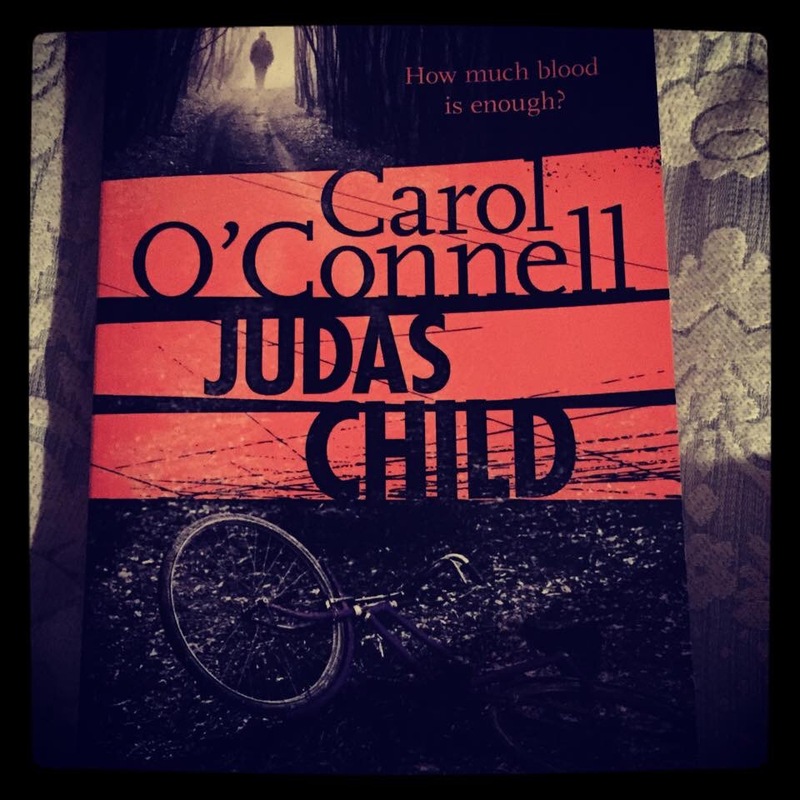 Judas Child starts a few days before Christmas. Two young girls have disappeared, and it has echoes of a crime that took place fifteen years previously. Rouge Kendall is a member of the police in Makers Village, and his twin sister was kidnapped and murdered all those years ago. Apparently, her killer, a priest, was apprehended and has been in jail ever since. However, when these two girls go missing, Kendall starts to question whether they have the right person, even more so when they question the priest and he knows nothing of the two girls who have been taken. Ali Cray, a forensic psychologist and previous inhabitant of the small town has also returned with questions of her own. The characters in this book are, for the most part, well drawn. A lot of the stereotypical problems are there for some of them (money issues, private affairs and so on), but I found the little girls to be the best written. Their innocence and naivety was captured well, along with precociousness and their fierce bonds of friendship. I don’t want to go into detail on the plot, as a lot of it intertwines for the twists in the book. Sufficed to say, when they finally start unravelling everything, there are some genuine shockers in there. I found myself thinking a few times “will you just go and talk to X because they know something that can help!!!! !” which I guess is a sign of a good book as it was frustrating to see the lack of communication between some of the investigators. I have to be honest, this wouldn’t be my most favourite of books, I found it took a while to get going. I was well over halfway through before anything happened that made me want to keep going. Once I got past that, the pace picked up. I thought the switching between investigators got confusing after a while, and I found myself having to reread a few paragraphs, which I never normally do! The book has an epilogue, which pretty much ties the whole plot together (but also left me with a couple of unanswered questions). All in all, a decent read. I gave Judas Child 3 stars on Goodreads. Happy reading!